The HR technology landscape has been transformed in just a few short years. From advances in ATS software to the emergence of cloud-based systems and gamification-influenced platforms, hiring is one of the most explosive spaces for innovation. Artificial intelligence is the most recent trend to appear in HR tech – and one of the most promising. AI has huge potential to improve recruiting practices, streamline decision-making, and match the best candidates with the right positions. Up until now, however, most of these advances have been focused on the sourcing side of talent acquisition; to identify better candidates and process resumes more efficiently and more accurately. These are hugely important aspects of the hiring pipeline, but why should our most innovative software capacities end at the beginning of the process? HR needs more than just a good recruiting process to consistently build great teams. AI support throughout the hiring process can guide recruiters and hiring managers to make data-driven, effective choices that will yield great hires time and time again. First, the machine learning components of AI can help HR managers draft better job descriptions. While 72% of hiring managers think they provide clear job descriptions, according to research by Allegis, only 36% of candidates agree. Machine learning technologies can help flag terms that might project a culture that is unfriendly to certain people. By ensuring that the language in a job description is inclusive, hiring teams can be sure that they aren’t discouraging qualified applicants from applying. Similarly, AI can help guide the resume review process. It’s been shown that people spend between 6 and 10 seconds reviewing each resume before making a decision. This only allows enough time to do pattern matching on things like where someone went to school, a hobby or a gender or an ethnicity that can be assumed based on a name. These aspects of an application, though, aren’t as important as the candidate’s experience, their track record of success, or their proven ability to handle challenges. By redacting information on a resume, AI can help hiring managers focus on only what is truly important when it comes time to decide who gets an interview. 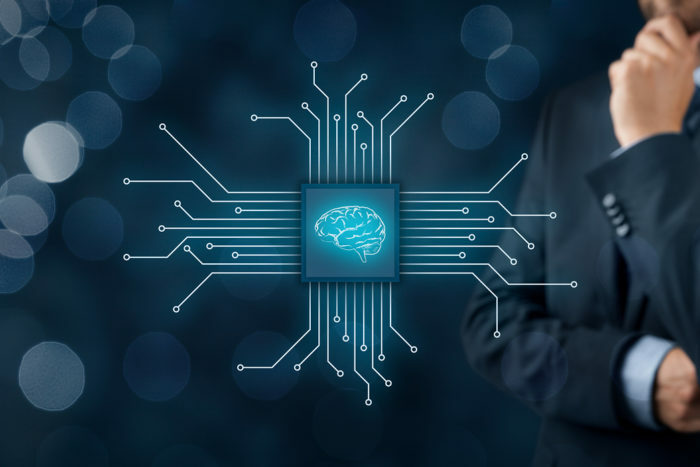 Instead of relying on “gut instincts” during the interview process, AI technologies can help suggest interview questions that operationalize 21st century talent acquisition best practices so interviewers can really get a sense of the candidate’s actual abilities. Not only do these structured interviews provide a better experience for the HR team and the candidate alike, they have also been shown to be more predictive of how well a candidate will do in a job if they are hired. Finally, as we collect more data on hiring processes — everything from what skills and values hiring teams find important for particular jobs to scores on resumes and interviews — we’ll be able to mine that data and detect patterns that will help us make more informed decisions going forward. While AI can never – and should never – replace the human element of the hiring process, leveraging these incredible technological tools will make sure hiring teams are making the absolute best decisions. In today’s competitive economy, that’s a benefit no company can afford to ignore. Laura Mather, PhD, is a leading voice on reinventing hiring for the Fortune 1000. Having sold her cyber security company SilverTail for hundreds of millions in 2012, Mather built Unitive to disrupt unconscious bias and capture the human insight essential to successful talent activation. Operating like a navigation system, Unitive guides hiring managers along the fastest route to the ultimate destination: improved organizational performance.